Is it Tilt without Caffeine? Anheuser-Busch Inc. will stop producing caffeinated alcohol beverages under an agreement reached with attorneys general in 11 states, including New York, said Attorney General Andrew Cuomo said today. 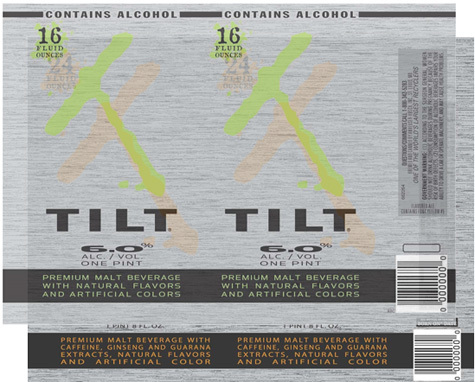 … Under the agreement, Anheuser-Busch will reformulate its Tilt malt beverage and Bud Extra beer to remove caffeine and guarana, a caffeine-bearing berry, company officials said. This change seems to be well under way. It just isn’t the same without the caffeine. It was the best of it’s kind, now it’s gone! There are plenty of other brands filling in the gap. They are not as good as Tilt? What made Tilt good?